Lea Nabor proudly holding her certificate with Bayanijuan sa Calauan project head Leah Bautista, Bayan EDGE executive director Estelita Catacutan, Calauan Mayor George Berris, Asian Development Bank Social Development Specialist Lainie Thomas, and NHA Southville 7 Housing Project OIC Engr. Maria Belinda Valencia-Sevalla. Lea Nabor, a market vendor and a Typhoon Ondoy survivor, received PHP 10,000 worth of grocery gift certificates on Friday for winning the top prize in the “Araw ng Parangal para sa mga Natatanging Negosyante ng Community Innovation Fund (CIF).” Nabor and 35 others were recognized for making sure no repayments were missed from their CIF loans. na hindi natin..hindi tayo masira sa kausap natin.” (I don’t like to skip my repayments. I make sure to set aside some money for my loan dues. We don’t have much in life but our dignity. We need to work hard to gain the trust of our clients). The awardees were classified into three categories: A, B and C. Under Category A, CIF borrowers should have no past repayment dues as of the 31 August 2015 cut-off date. They should also have an existing business and reached at least Grant 2 of the loan cycle. Placing second to Nabor was Maria Deolita Aligado, who received PHP 8,000 worth of gift certificates. The third prize amounting to PHP 7,000 worth of gift certificates was given to Evangeline Colar. Round up the Category A winners were: (Top 4-15) Lani Catian, Estela Lopez, Arcellie Lua, Cheryl Constantino, Marcelito Bacason, Mary Grace Endino, Michelle Arnesto, Marilou Combate, Marilyn Zapanta, Maricel Basilan, Filipina Magat, and Victoria Sarol; Top 16-28: Meriam Gamez, Maxel Masbate, Imelda Gonzales, Maria Cristy Estoconing, Salvacion Somera, Sally Esquiera, Analiza Arcilla, Julito Emoretcha, Flor Lucañas, Evelyn Auguis, Felix Mores, Consorcia Rodriguez and Sally Dugos. Those who made it from Top 4-15 received PHP 5,000 worth of gift certificates while those in Top 16-28 were awarded PHP 3,000 worth of gift certificates. Peanut butter entrepreneur Estela Lopez with Bayanijuan sa Calauan project head Leah Bautista, Bayan EDGE executive director Estelita Catacutan, Calauan Mayor George Berris, Asian Development Bank Social Development Specialist Lainie Thomas, and NHA Southville 7 Housing Project OIC Engr. Maria Belinda Valencia-Sevalla. Category A winner and peanut butter entrepreneur Estela Lopez is thankful for the additional capital offered through the CIF. “Magpapasalamat din po ako sa pagtulong neto kasi mga yung walang-wala tulungan ko rin po sila. Tapos sa awa ng Diyos po nakakaraos din ako sa…hindi naman ako sa nawawalan ng ano…puhunan. Tapos yung utang ko nahuhulugan ko rin po tuwing martes hindi ako nakakapalyang maghulog. Sipag lang po na mag-ikot saka tiyaga.” (We are grateful for the assistance, which enabled me to also help others in need. By the grace to God, I never run out of money for my business. Also, I’m able to save some for my repayments every Tuesday. Hard work and perseverance are needed to keep the business rolling). Under Category B, CIF borrowers should have classified as good payers as of 31 July 2015 but incurred repayment dues as of 31 August 2015. However, they were able to update their accounts and maintain good repayment status until the end of September. Category B awardees also reached at least Grant 2 of the loan cycle and maintains an existing business. Those who have recovered past due payments within a week received PHP 2,000 worth of gift certificates while those who took more than a week to address their repayments got PHP 1,000 worth of gift certificates. The Category B awardees were: Iris Pascual, Regina Ibarreta, Lyne Jacolbia, Merlita Reoyan, Rolando Morales, Joceyln Torado, Emily Rivas, and Linoganarao Batua-an (Cayamombos). LAC Members with Bayanijuan sa Calauan project head Leah Bautista, Bayan EDGE executive director Estelita Catacutan, Calauan Mayor George Berris, Asian Development Bank Social Development Specialist Lainie Thomas, and NHA Southville 7 Housing Project OIC Engr. Maria Belinda Valencia-Sevalla. 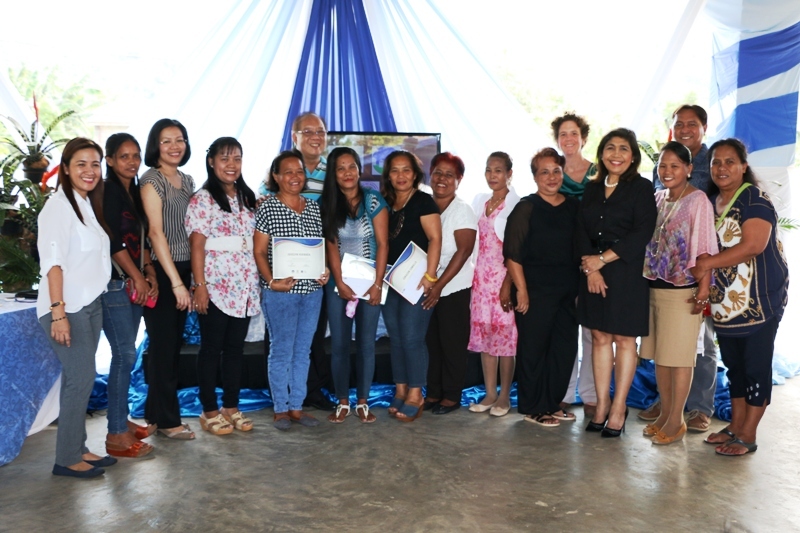 Aside from the CIF borrowers, three members of the Livelihood Assistance Committee (LAC) were given recognition for maintaining good repayment status and ensuring their fellow CIF borrowers regularly pay their dues. They were ranked according to cumulative principal payments made by CIF borrowers under their accounts. The top three awardees were Juvelyn Hurboda, Leony Libo-on and Corazon Somallo. They received PHP 5,000; PHP 3,000; and PHP 2,000 worth of gift certificates, respectively. Handing the awards were Calauan Mayor George Berris, Bayan EDGE executive director Estelita Catacutan, Asian Development Bank Social Development Specialist Lainie Thomas, NHA Southville 7 Housing Project OIC Engr. 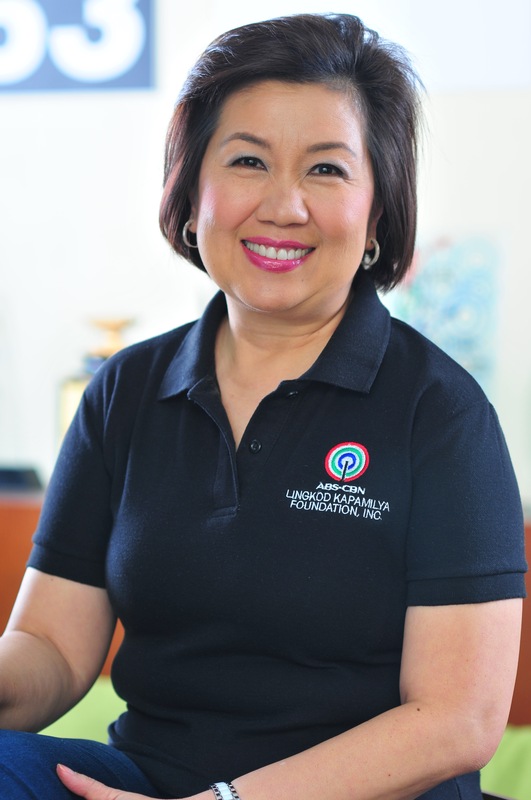 Maria Belinda Valencia-Sevalla, and Bayanijuan sa Calauan project head Leah Bautista.